We have already discussed how important Google+ can be for bloggers, webmasters, and other business people. At Google+, not only your own presence, but also that of your brand is important. Google+ has already gained 40 million active and registered users, which might not be much by Facebook's standards, but definitely a great by a fledgling social network such as Google+ itself. While most brands have a presence on Facebook, not all of them are as active, or even present on Google+. This gives you the perfect opportunity to bring out your brand on a whole new battlefield, and utilize the potential offered by the 40 million or so people. Hence, now would be a good time to start thinking about extending your brand to Google+ by creating a Google+ Business Page. Google+ Brand Pages are much like Facebook Fan Pages. You need a Facebook profile for creating a fan page. 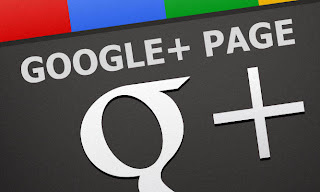 Similarly, to create a Google+ business page, you will first need a Google+ profile. More importantly, you'll need a Google Account. I am assuming most of you already have a Google Account. It doesn't necessarily have to be based on a GMail email address. If you have a Google Account, then you're good to go. Create a Google+ profile by visiting the Google+ website. Or, you can visit out post and get started with Google+. In this post, you will find all the guidelines you'll need regarding Google+. If you're a beginner and can't understand the interface, just go through that post before proceeding. How to create a Business Page on Google+? First of all, sign into your Google+ profile. Once done, follow the steps given below. Next, you'll be prompted to choose a category. You have five options to choose from. Product or Brand is for the brands you are promoting, which can range from electronics, computing, health etc. Examples include Pepsi, Armani, etc. If you want to create a page for a blog, then this is the category you should pick. Company, Institution or Organization is for large businesses and companies. It could contain pages for universities or colleges, large corporate companies such as Microsoft, and more. Arts, Entertainment or Sports is for soccer teams, music bands, tv shows and other such stuff. Other is for those who don't fit into the above four categories. Now, you will need to add some information about the page you want to create. The required information differs depending on the main category you chose. For example, if you choose Local Business, you will have to give the location of the business, so that people might know where it is. For Product/Brand, you will have to choose a sub-category, along with a website (optional). Well, you get the point. These options vary from category to category. Next, you'll have to add a photo, and a tagline which will be displayed to other people when they see your page. You have only 10 words to describe your business, so make each word count. 5. Share with the world! You're all done! Share this page with the world so that people might follow your page! You are now all done. Your page is up and live. Now begins the real journey. You will now need to optimize your page to make it more engaging for your followers. First of all, just follow Google's prompts, such as connecting to your website. After all, it's a social network, all about connections. To keep your connections alive, you will need to apply some of the basic principles that apply to almost all social media networks. Keep your connections alive by sharing fresh and original content, and engaging with your audience. After all, a good social media fan base is the key to any new brand's success. Thank you Qasim bro. Tutorials on MBT have always helped me. Nice Post..MBT is always helping me while my blogging..
Nice feature similar to facebook page. Hello Brother,thanks for this tutorial, plz write an article on "how to add an banner ad on header"
"61+ Drop Down Menus For Blogger" in a beautiful manner. Thanx a lot for the valuable info. Your blog is full of unique and valuable information. Qasim, Thanks you very much for knowledgeable post. Information is really very useful for Google Plus starter and also for already Google Plus users. Google Plus is best way to create standard business community networks. Thanks 4 share ..i love MyBLOGGERTRICKS..